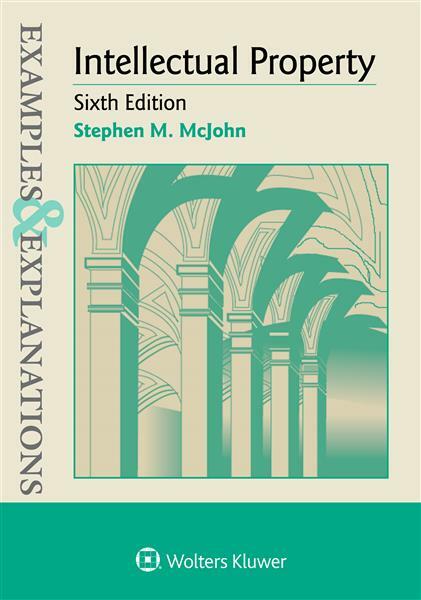 Examples & Explanations: Intellectual Property, Sixth Edition by McJohn provides tools for learning the fundamentals of intellectual property (IP) law. It is written for law students taking the Intellectual Property survey class—or for anyone else seeking an introduction to intellectual property law. The book covers the four primary areas of intellectual property law: copyright, patent, trademark, and trade secret. Although “intellectual property” is a term for related but distinct areas of the law, basic principles run through all the areas. Students (or lawyers) can prepare to handle IP issues skillfully by learning to focus on these common issues.